There are so many giveaways going on in New Mexico that I can hardly keep up :) The ones I am posting on FB may be different from the ones I retweet. And here, on the blog, I will choose those most interesting ones that can bring some comments and discussion. It would be great if you could join and participate! Thanks! - Mama's Minerals - I love them! I won a prize from them in July. I will always support them. They have 3 contests posted : their October Raffle (be back each month), Win a Crystal Skull giveaway (perfect timing for Halloween) and their Home Decorating Contest (I still haven't sent my entry!). - Rich Ford NM - I love them too :) I won a $10 Starbucks gift card from them (Gosh, I have to pick it up!) 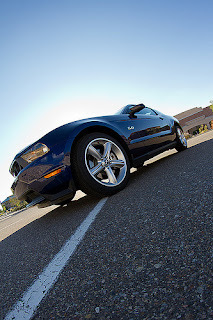 and that 2012 Mustang my husband drove for a week was from their NM Rockstar contest (I know, we owe more videos!). Anyhow, each Tuesday they post a trivia question on their FB page and there are not that many comments so the chances of winning are great! Just keep on trying and you'll win. I think I won on my second attempt. It's a perfect giveaway for a beginner sweeper just to prove yourself that yes you can win something :) And $10 is enough to invite someone for a good cup of coffee. - Baillio's - (got a dishwasher from them and PNM!) - each time I check their FB page they have at least one giveaway going on! Enter today before midnight to win a $25 gift card!